Fall gatherings and the upcoming holidays mean you might have more people coming and going from your house than usual. Host the crew with style — even with limited square footage — with these strategic pieces that maximize your smaller spaces. 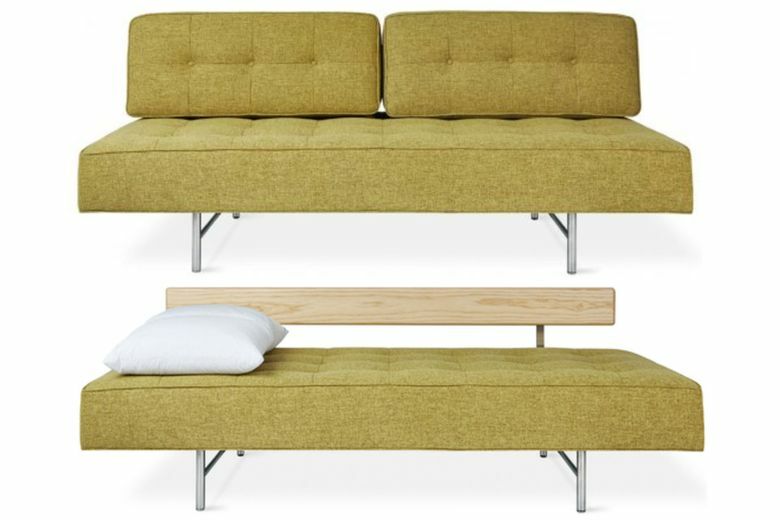 Gus* Modern Bedford Sleeper Lounge ($1,950 at Digs, Ballard, and digsshowroom.com). Provide pared-down seating and a sleeper for overnight guests — all while adding cool, midcentury-modern style — with this sleek lounger. Just remove the cushions to transform it into a comfy twin bed. Schoolhouse Andy Side Table ($549–$599 at schoolhouse.com). Inspired by a vintage stool from the ’60s, this accent table is easy to move to where you need it — and just as easy to store away. 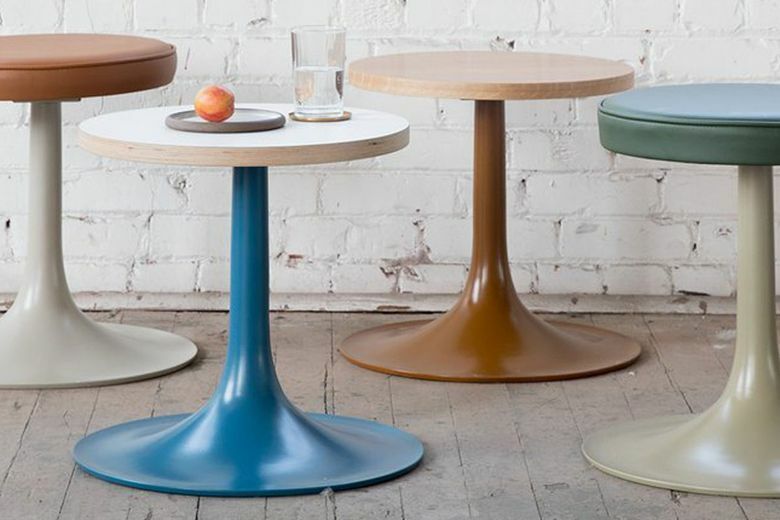 The cast-aluminum base is available in a range of colors, with either a parchment-hued laminate top or a white oak veneer top. CB2 Slice Grey Wall Mounted Storage Shelf ($169 at CB2, now open at University Village, or cb2.com). A nightstand that mounts on the wall makes small bedrooms feel more spacious. This high-gloss version designed by Mark Daniel of Slate Design looks especially smart in modern-style homes, and can be used anywhere a little extra closed storage is needed. West Elm Whitewashed Modern Weave Baskets ($14–$149). The more you can contain clutter, the bigger your space will feel. 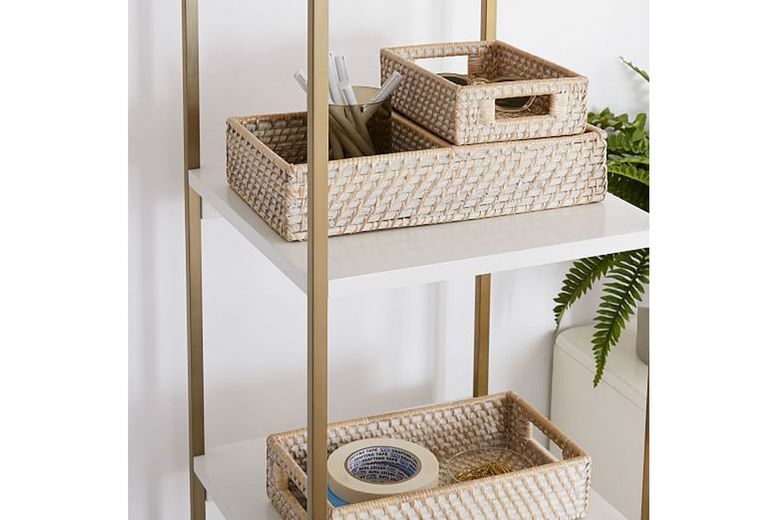 Employ these handwoven rattan storage baskets, in sizes that range from small organizers to large storage bins, that look great with their airy whitewashed finish. Crate and Barrel Origami Drop Leaf Rectangular Dining Table ($699). 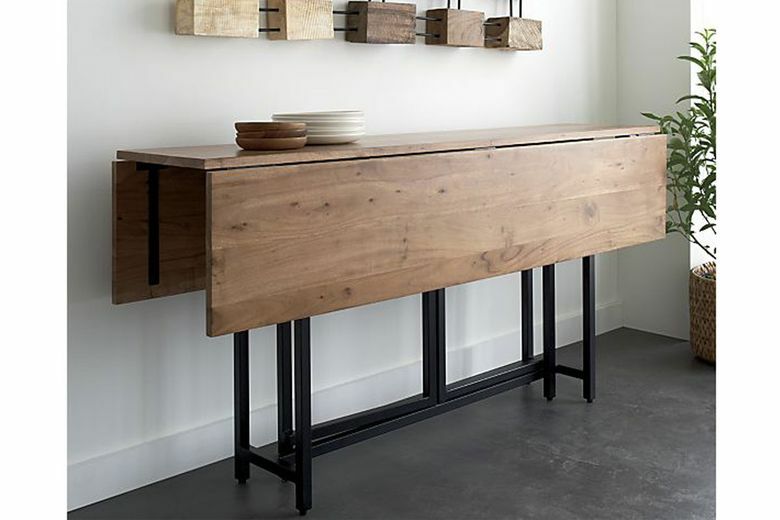 Host well, even in tight quarters, with this compact, drop-leaf style console that converts easily into a dining table that can squeeze in a party of six. Made from walnut-stained acacia wood, it makes a lovely sideboard for quieter nights.